Please join the Peace River Audubon Society for the first meeting of the Season. Hear from Dr. Ken Myer on the Swallow-tailed Kite program. We meet at the First Alliance Church, at 20444 Midway Blvd, in Port Charlotte, Fl. Doors open at 6:30 PM with light refreshments. The meeting starts at 7:00 PM. General Public is always welcome. Ken Meyer obtained his B.S. degree in Zoology from the University of Maine, Orono, in 1977; and his Ph.D. in Zoology from the University of North Carolina, Chapel Hill, in 1987. From then until 1996, he studied imperiled birds as a post-doctoral and then research associate in the University of Florida’s Department of Wildlife Ecology and Conservation, and as a research biologist with the National Park Service. Since 1996, he has served as an adjunct Associate Professor in the University of Florida’s Department of Wildlife Ecology and Conservation. 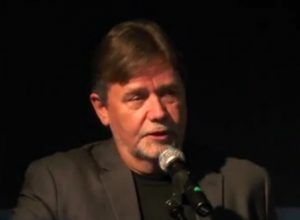 Ken co-founded Avian Research and Conservation Institute (ARCI) in Gainesville, Florida, in 1997. Since then, he has held the positions of Research Ecologist and Executive Director at ARCI. In the course of conducting 38 years of field research and producing management and conservation plans, Meyer and his team have studied the behavior and ecology of 16 species of birds of conservation concern in eastern Canada, Maine, North Carolina, Florida, Georgia, South Carolina, Louisiana, Mexico, Belize, Brazil, Bahamas, British Virgin Islands, Cayman Islands, Jamaica, and Puerto Rico. In 2002, and again in 2014, Ken received a Partners in Flight National Research Award for studying the conservation biology of species at risk; and In 2005, a National Wildlife Stewardship Award from the Sustainable Forestry Initiative for cooperative studies of Swallow-tailed Kites. 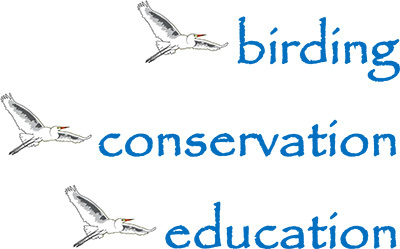 Avian Research and Conservation Institute (ARCI) is a publicly supported 501(c)(3) nonprofit whose mission is to conduct rigorous research on vulnerable species of birds that will stimulate and inform effective conservation action. ARCI strictly limits its infrastructure, overhead, and administrative costs to devote funds directly to its research on the nesting and wintering ecology, habitat selection, demography, migration, and conservation biology of Swallow-tailed Kites, Short-tailed Hawks, White-crowned Pigeons, Wood Storks, Snail Kites, Jabiru Storks, Red-cockaded Woodpeckers, Crested Caracaras, Reddish Egrets, Great White Herons, Magnificent Frigatebirds, Mangrove Cuckoos, Northern Harriers, and the avian communities of south Florida’s pinelands.